The Washington, D.C. version of Real Housewives is the only series in the reality TV franchise to be canceled after one season. It's mostly known for Michaele Salahi and her husband crashing an Obama state dinner at the White House. "Nine years later, it’s clear the problem with The Real Housewives of D.C. was that it was too early and not nearly audacious enough," says Alyssa Rosenberg. "It was Donald Trump, star of another reality-television franchise entirely, who created the environment that made a truly spectacular Real Housewives of D.C. possible, cast it perfectly and then set it in motion in real time." 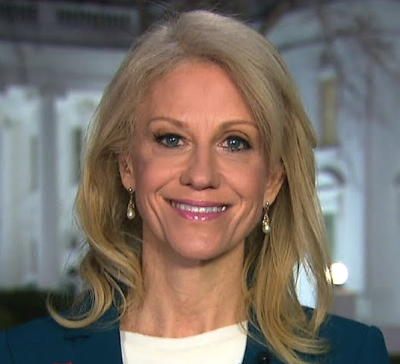 She adds: "If the Real Housewives franchise runs on an endless supply of couples (and the occasional single woman) who are willing to expose themselves for potential profit, then the uncontested stars of this installment of the franchise are Kellyanne and George Conway." The Conways have been in the news this week with George getting under President Trump's skin while his wife Kellyanne defends her boss.